Kiera Butler, an award-winning writer and senior editor at Mother Jones magazine, has written extensively about the environment. Her work has appeared in Orion, Audubon, and Columbia Journalism Review. "A solid work of personal observation buttressed by Butler’s research." 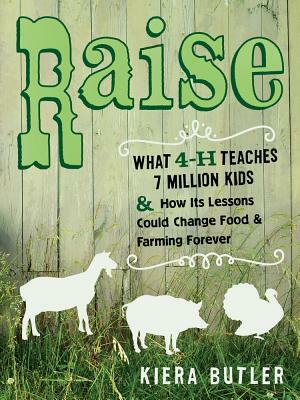 "A highly detailed and personal investigation in to the history, practices, and culture of 4-H... Butler's Raise is an enjoyable and accessible read."